UPDATE: Winner has been drawn and notified. Thank you to everyone who showed such enthusiasm for this new model. Truly appreciate all your support. First, thank you for the amazing contributions to our Library campaign. Your generosity helped raise a little over $4,600 for our Friends of the Library. This amount both overwhelmed and amazed our community. Thank you all! And the winner is very happy with his Axiom so all is good. Now up is the introduction of Richard's new design -- the Reflex. 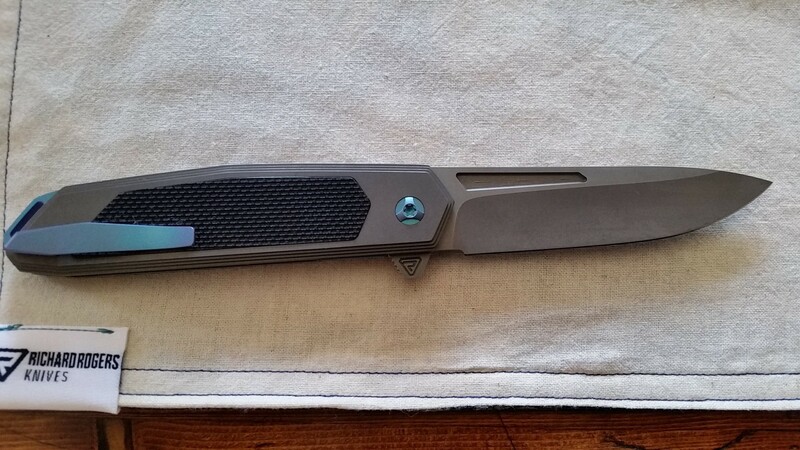 [caption id="attachment_968" align="alignnone" width="1959"] Reflex[/caption] It features a Titanium frame with an inlaid lock bar, textured G10 inlays, blade steel is CTS-XHP, stepped frames, and anodized blue pivot, clip, lock bar, and back-spacer/lanyard slot. 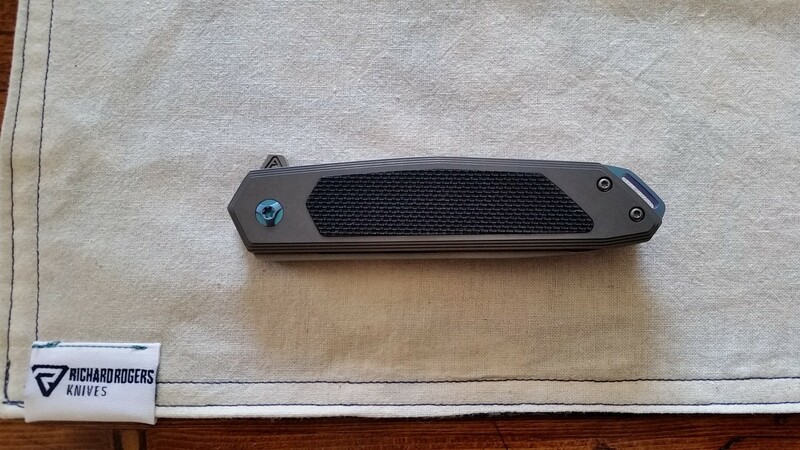 The blade is 3.5 inches long, closed length is 5.75 inches, and overall length is 8.25 inches. The weight is 3.6 oz (101 gms). This is Prototype #2 of 2. (Richard always does prototypes in pairs.) The price on this is $825 + $10 shipping. We will begin lotto now and drawing will be done Monday, February 8 at 5:00 PM MST. Random number generator will be used, thus insuring no favoritism or shenanigans. One entry per person. 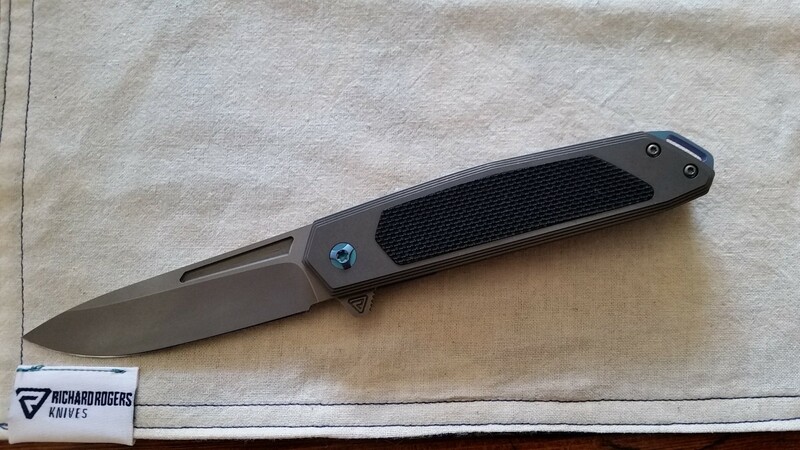 Please send email to availableknife@yahoo.com only, no other address will be valid for the lotto. [caption id="attachment_984" align="alignnone" width="1959"] Closed view of front[/caption] Good luck to all and we hope you like this new model.